How should agents and advisers stand out in the digital era? When it comes to LinkedIn, a few questions would normally come to mind. What is social selling index? How does my business brand correlate with my personal LinkedIn platform? And, why use LinkedIn instead of Facebook or Instagram? Many financial advisers are still not utilising the power of LinkedIn. In this article, we take a look at why it should be part of your overall strategy to boost your business. For anyone who has a job, owns a company, hiring or is looking out for job opportunities, it is important that your LinkedIn profile is fully optimised to showcase your skillsets and your “voice” or professional personal brand. In order to market yourself in the best efficient way, LinkedIn’s tool “LinkedIn Social Selling Index (SSI)” provides you with a daily score that measures how good you are at establishing your professional brand, reaching out to the right people, engaging with insights and building relationships. Social Selling Index is crucial to many sales organisation- salespeople who excel at social selling tend to create more opportunities and are 51% more likely to hit quota, according to LinkedIn data. Track your progress over time to improve your SSI performance. So, what’s your SSI? Check it right here. If you want to improve your SSI, LinkedIn shows you how. Click here for their solutions. Also, find out how AAN Editor Benjamin Ang reached the top 1% of the industry and the lessons he learnt. Personal branding for building up businesses? Which is why we’ll be sharing tips on boosting your personal brand on LinkedIn. Why not Facebook or Instagram? Why LinkedIn? LinkedIn is the most powerful platform networking and social marketing platform if you’re targeting to connect with business leaders, industry experts, and professionals. With over 610,000,000 professional global members, it is a platform where professionals use to network and build up their businesses. LinkedIn can be used to connect with people from the same industry or different industries, and even overseas especially if your work takes you abroad frequently. If you’re looking to grow your team, you can search and filter potential candidates accordingly. Or if you’re traveling to a particular conference overseas, you can search for like-minded professionals in the area to connect. Unlike Facebook and Instagram, LinkedIn is purely professional, and the members would be revolving around organic conversations about products, services or industry trends. 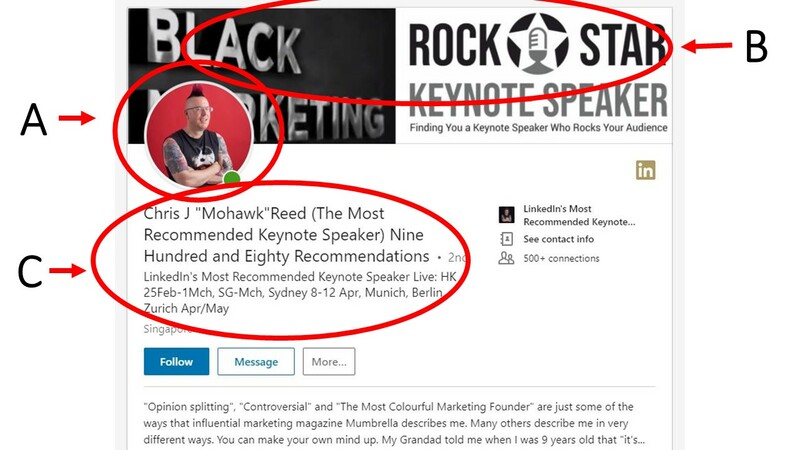 So let’s get down to brass tacks with some tips from Social Selling Expert, Chris J Reed AKA “Mohawk Guy” who has 54k followers on LinkedIn. 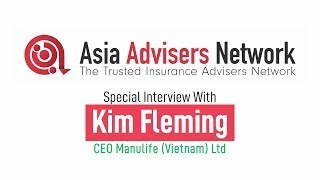 Chris was a speaker at the recent Asia Insurance Review Big Data Conference in Singapore where he shared tips on building up our businesses via our LinkedIn profile. LinkedIn is a gamification platform. Users need to score by engaging the online community- as evident in SSI where you are measured across 4 elements - your professional brand, reaching out to the right people, engaging with insights and building relationships. C. Create a personal brand statement by using keywords that describe your work. This personal brand statement follows you everywhere on LinkedIn- whenever you post, comment something or when someone tags you or searches you online. Once you have your personal branding up, all you have to do is keep engaging the community on a regular basis. “Your personal brand is what people immediately think of when they hear your name” taken from Mohawk guy in his book, where personal branding is integral to social selling. 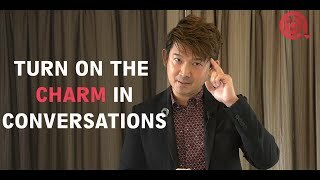 You can also watch 5 tips to boost your personal branding on LinkedIn shared by Andrew Chow, Social Media & Digital Marketing Strategist, who was listed as the Top 10 Most Influential Speaker in Singapore by the Singapore Business Review right here. 4 Unrelated posts: Contents that does not mention you or your company, yet still interesting and relevant to your audience. This draws people in when they see that you care and value content from other sources. 1 Soft Selling post: Without mentioning your company, discuss a topic that’s an area of your expertise to give your audience helpful information, so that they can connect the dots back to you and your company. This brings people in, gives you permission to do the hard selling. 1 Hard Selling post: Sales-related content for your product or service. You can go all out to hard sell in this post/ content. When someone posts about the company all the time, it gets boring, it doesn’t generate buzz and high chance your audience would unfollow or hide your feed. So, detouring from yourself and your company gives your audience a good break from too much “selling” online. When it comes to social selling and boosting your index, bear in mind that all the while you’ve been trying to build relationships and engaging each other in an online community. Many of the connections that you’ve built will lead to eventual business opportunities and working together on a deal. And in order to maintain real and your social front, it’s always better to be authentic. People have natural indicators built in them to identify fake and rehearsed people. And most times, authenticity cannot be faked. Putting up a false passionate front for a product or service can be a real turn off. And your audience won’t want to entertain you for more than a second the moment they sense a false you. Just as in real life, we are wary of pretentious people. And just because it’s online, it doesn’t mean people can’t differentiate human nature. At Asia Advisers Network, we are also focussing on growing our LinkedIn Page in recent months. Follow us here and watch what we do and how we put things into practice. The effectiveness of videos has proven to be high only when you share relevant advice and information. The other times when you do not are the times you share about yourself- your personality, expertise, authenticity, and style. As building relationships are one of the elements measured in the SSI, engaging your audience via video captures your essence as a person, captures your energy and ultimately, your personality and ideas. Videos are the medium that is capable to showcase you as an authentic and complete professional person. If you must know the hierarchy of media mediums, at the top that gets priority are Videos, followed by photos, posts and lastly, articles. Videos that you post doesn’t need to be excellent quality produced by production houses or a film crew. Simple videos that are spontaneous, and have raw rough cuts show authenticity. Getting across facts and thoughts on a subject that doesn’t seem rehearsed tend to attract more people. 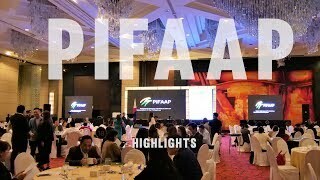 Chris recommends a short video ranging from 2-4 minutes, where you talk passionately on what you do, who you work with and the business-related pointers. To take it a notch higher, add keywords and subtitles that are related to your videos to generate more hits on the search engine. After you’ve posted your content, to optimise the reach of your post, always remember that tagging and hash tagging relevant people that you think would be interested in your content would help boost views. When someone is tagged, a notification is sent to them that they’ve been tagged or mentioned by you. Most times, they’ll check out the content that you’ve tagged them in, and there’s also always the chance that they would reciprocate/ relate and like/share and comment, propelling your content into their own feed where it’s getting viewership from their followers. Hash tagging topics is also a good way to direct people to your message. Your content gets a reach outside your connection circle if you’re hash tagging a trending topic. Someone could just search a current topic and all related contents that bear the keyword(s) would surface. One of the wonders of an online global community is that it’s always available. Someone somewhere around the globe with internet access may just google a hashtag and next thing you know your profile pops up as one of the search results all because you used a hashtag that is of interest to someone. 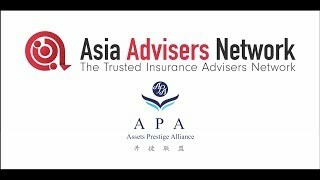 Lastly, don’t forget to connect with Asia Advisers Network and the team! If you're looking to grow your facebook account, our in-house Marketing Manager, Junaid will take you through a step by step guide on how he grew our Asia Advisers Network Facebook page from zero to over 13,000 followers in less than a year. Part 3: What, when and how much to post on Facebook.